Safe Passage For Children Of Minnesota is a citizens’ group that advocates for improvements in Minnesota’s child welfare system. 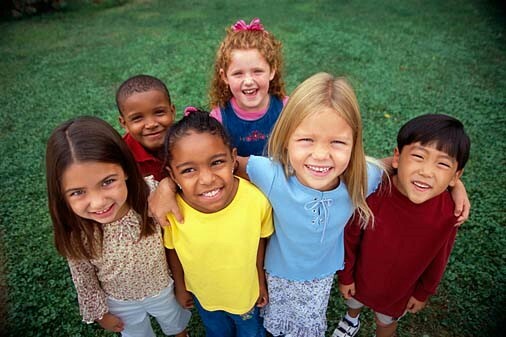 “CHILD WELFARE” REFERS TO PUBLIC CHILD PROTECTION AND FOSTER CARE PROGRAMS AND RELATED SERVICES. To ensure that Minnesota has a child welfare system in which children are safe and reach their full potential. There will always be a group of Minnesota citizens who advocate on behalf of victims of child maltreatment and hold counties and the state accountable for good outcomes for these children and their families. A Minnesota child protection and foster care system in that continuously improves the lives of children, as demonstrated by objective, measurable outcomes. If the system is working well, children’s outcomes will improve over time. Safe Passage was founded in 2009 after other organizations working in the field had left Minnesota, primarily because their operating models were too expensive and they had limited success in effecting change. Our commitment to citizen involvement is rooted in our belief that passionate individuals can change public priorities. Also, our analysis of previous failed child welfare reform efforts showed that they typically were led by small groups of people in leadership positions, usually the state human services commissioner and a few legislators. When those individuals moved on, as they invariably did, the reforms lost momentum. Safe Passage addresses this problem because when individual advocates leave, new ones join. Citizen volunteers are also very effective because as constituents they can accesstheir legislators. Moreover, because many of them have been involved firsthand in child protection – for example, as foster parents or guardians ad litem – their advocacy is supported by strong experience and credibility. Safe Passage applied the principles of citizen action in lobbying for a new statewide study. We proposed that the Office of the Legislative Auditor (OLA) perform a statewide analysis of county screening practices. The resulting OLA report confirmed what we knew about screening practices – namely, that counties were not responding to high-risk reports, that practices varied widely across the state, and that screening decisions often were not consistent with the standards in state laws and guidelines. In 2014, due to efforts by Safe Passage and other organizations, the Minnesota Legislature passed he a bill that placed the interests of the child – and not the family – first and foremost in Minnesota child welfare. The bill also reversed a law that required workers to ignore past reports of child maltreatment when evaluating a current report. Child welfare traditionally has lacked outcome measures. In the past, results were tracked primarily by process measures; for example, how long children waited in foster care or the frequency of visits to children by child protection workers. These measures never truly indicated whether children were benefiting from their involvement with child protection. This is why a primary goal of Safe Passage for Children is to measure outcomes for individual children. This is based on the body of knowledge related to continuous quality improvement, designed to create a ‘virtuous cycle’ in which a system – and the children served by it – actually improve over time. Specifically, we advocate that when children first enter into child protection they receive a baseline assessment that measures physical and cognitive development, level of trauma, and behavioral or mental health issues. Assessments can be updated periodically to tell whether a child is doing better due to his or her involvement with child protection. By aggregating the results of these measures, we can also evaluate the effectiveness of individual caseworkers, supervisory units, counties, and the state. Safe Passage has become a trusted source of information on Minnesota’s child welfare system by providing elected officials and other stakeholders with previously unavailable, policy-related information. you can be a voice for children in Minnesota by becoming a Friend Of Safe Passage For Children Of Minnesota or a Volunteer Child Advocate. Our Friends receive our weekly blog that provides regular insights and updates on developments in child protection and foster care both in Minnesota and nationally. Friends are also invited to educational events, our annual fundraiser and to donate through events such as Give to the Max Day. Yes, help me keep up with child welfare and legislation news in Minnesota. The primary role of a Volunteer Advocate is to lobby state and county officials for improvements to child welfare laws, funding, and practices. The minimum time commitment is 8 hours annually.